Welcome back to the first post-0.7 update from the Forgotten Hope Mod team! We have many things about which to tell you. First of all we would like to remind you that today, November 11th, is the 87th anniversary of the signing of the armistice in 1918, officially ending the First World War, although related hostilities continued in many parts of the globe. This day has different meanings in different countries, but it has significance for every nation that was involved in WWI. In Commonwealth countries, and many European countries, it is dedicated to remembering soldiers fallen in war. In Poland it is celebrated as Independence day, and in the United States as Veterans day. McGibs has prepared a graphic, reflecting the meaning of the day in Canada, where it is celebrated as Remembrance day. Canadian observance gives special significance on this day to the poppies that grew in profusion on the fields where the dead had been buried, as described in the poem "In Flanders Fields" by Canadian Military Physician John McCrae. But today's update is not just about the past. Forgotten Hope has passed a great milestone in releasing 0.7. Up until now we have had to divide our time between 0.7 and Forgotten Hope 2. Now the entire team is free to concentrate all efforts on Forgotten Hope 2, which should begin to take shape a lot more rapidly. In addition, the FH team has continiued to grow. Please join us in welcoming our newest developer, modeler and skinner jodonnell, whose first efforts will be featured in next week's update. Lets give jodonnell a warm welcome! In celebration of our new, exclusive focus on FH2, we have released a new wall paper, titled Armoured Advance by ecsdesign. Our mappers were very excited by this image as concept art, and we hope to bring its feeling of cramped, North African urban spaces to some of the maps of FH2 v0.1. More wallpaper sizes are available in the Wallpaper Section. An example of our new focus is Montoya's "revised for FH2" Valentine Mk. II. Based one the earlier A10 cruiser tank, the Valentine series had the armour and speed of an infantry tank. It shared many of the defects of other early British designs, such as a weak main gun, cramped turret and low top speed. Despite this, its relatively small size, good armour and reliability made it a failry successful vehicle, and it was produced in large numbers during the war. 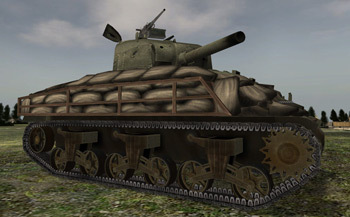 Over 3,000 were sent as lend-lease exports to the Soviet Union, where it enjoyed unusual popularity from Red Army crews, who were frequently critical of British armour designs. To prepare it for FH2, Montoya rebuilt the model, created a normal map, and extensively revised the skin. You can easily see the differences by comparing it with the 0.7 Valentine. We have not forgotten that you are still playing FH 0.7, and we are very happy to report that independent developer Legi0n has released his Intensity minimod for FH 0.7. It adds SP to many maps that lacked it in FH 0.7, and adds enhancements to the AI of all 0.7 SP maps. Legi0n warns new players that his bots can be frustratingly good, and not to take it out on any fragile objects nearby. Finally, we have a last bit of 0.7 goodness--the last installment of FH School, courtesy of Panzer Commander Barney, covering some of the new features in FH 0.7. Let's look at Lesson 3. Lesson 3 explains some important new gameplay features that will affect the balance of forces in Forgotten Hope. 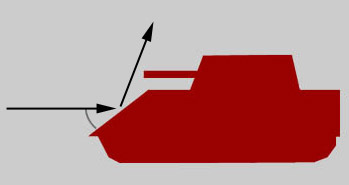 Tank designers in World War 2 realized that a tank shell did less damage to an armor plate when it did not hit that plate vertical, at a certain angle it even tended to richochet. This lead to the use of sloped armor on tanks to increase the armor without actually using thicker armor. This feature has been reworked and is now in Forgotten Hope, a tank that has sloped armor will now be a force to reckon with. 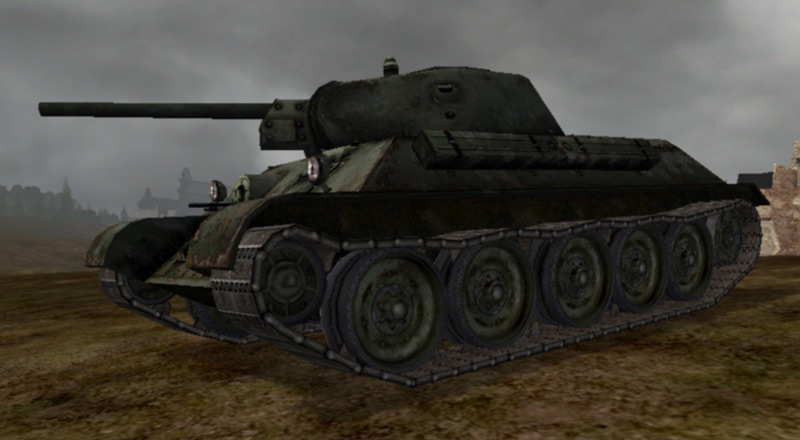 A good example of the good use of sloped armor is the T34-76, try to hit the parts that are less sloped to deal more damage to this kind of tank. With the introduction of the hollow charge in World War II tanks faced a serious threat from infantry armed with Bazookas, PIATs, Panzerfausts and Panzerschrecks. These Infantry AT weapons all use the concept of the hollow charge. Some armored vehicles were designed to carry light armored shields or skirts, and on others, the crews added spare sandbags and other equipment in order to reduce the danger these infantry AT weapons posed to their tanks. Sandbags and Skirts will reduce the damage dealt by Hollow Charges. 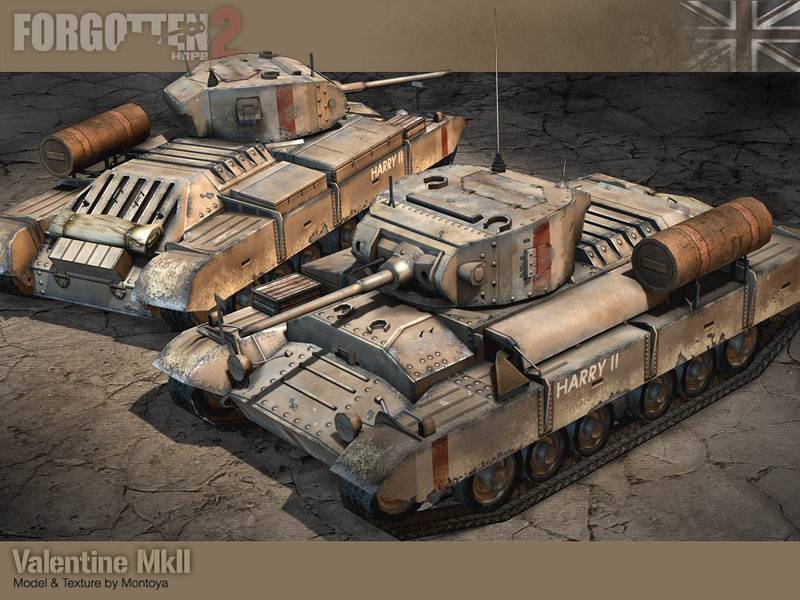 Tank shells, however, are not affected by these upgrades and will punch through them as though they were not there. This feature can be found on many tanks in FH but keep in mind that there are still unprotected areas on any tank. MG gunners and Anti Tank soldier in the second World War did not have the benefit of a crosshair in the middle of their view telling them exactly where they would hit. They had to know how to use their weapon's sights to aim. Forgotten Hope tries to simulate this reality by presenting fully functional 3D ironsights for AT weapons like the British PIAT and heavy machine guns like the German MG42. The AT weapons in particular now require skill and cool nerves. 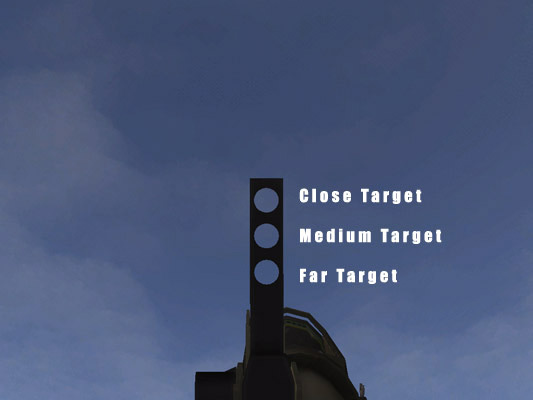 Don't forget to wait a few seconds for your aim to steady, or your projectile may not go where you expect. You know that frustrating feeling when you spawn in your own mainbase and you get immediatly killed by some enemy waiting 3 meters away in a Tank? Don't worry, this won't happen anymore on certain selected maps. The Anti Basecamp Mod will quickly drain the health of all enemies who, instead of fighting with the rest of their team, try to get cheap kills in the enemies main base. The Minimap will show you if the Anti Basecamp Mod is in effect or not. Areas surrounded by red lines can not be entered by the allied team. Areas behind a blue line are tabu for Axis soldiers. You better not dare stepping into a base where you are not wanted. Ever wonder why every single guy on the other team seems to be running around with an MG42? Did the Germans really equip every single soldier with heavy support weapons? No, they didn't. 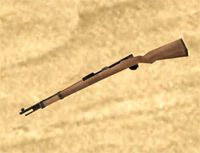 Certain weapons were less available than others during the war and most soldiers were usually equipped with rifles. And where to get those less available weapons? In the Armory of course. There will be maps where you can't just spawn with an Mp40, Panzerfaust or Piat, you gotta get it from the Armory. This way the mappers can make sure there is only a certain amount of the given weapon. 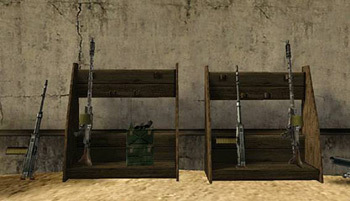 What kind of weapons are limited this way varies from map to map and there will still be maps where you can spawn with your favourite weapon right away. 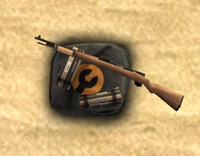 Still remember the awkward Backpacks dead soldiers dropped in the old Battlefield 1942 ? Those are now gone forever, each kit now has its own main weapon model as the new world kit. That means you know exactly which main weapon you will pick up. 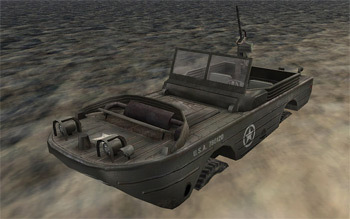 APCs and Jeeps in the new Forgotten Hope version will feature a nice little goody for all you drivers out there. The windshield of certain vehicles can be moved up and down, using the same keys as for the ramp of a landing craft. You decide whether you want to have a better view on the road. In some cases, having an armored windshield up will provide more protection, at the cost of limited visibility. Cruise to the frontline in style with the windshield of your GAZ up or down. A lot of maps can get spoiled by a Rambo in a jeep capping a back flag while everyone else was fighting at the frontline, Push-Mode will prevent this on certain maps. Push-Mode is a feature which was already in Forgotten Hope 0.67a and will continue to focus the action in FH 0.7. There is an easy way to spot maps with the Push-Mode--your minimap will look different. It has the flags numbered. Your team either needs to attack these flags in numerical order or defend the flags in that order. In some cases, flags cannot be recaptured, once they have been lost to the enemy. Attacking an Island with a well-prepared enemy on it is not an easy thing. Mobile spawn points such as the LVT-4 or the GPA come in handy for such a task. These vehicles can determine the outcome of a battle. They are teamwork vehicles so use them accordingly. If the driver can bring it into a good position your team can spawn in on it and attack from there. Make sure to clear the seats once you spawned in, to give the rest of the team a chance to spawn in there as well. Use this feature wisely. Sure, a mobile spawn point right on the enemy flag is dandy but it can get destroyed easily there, so it is usually better to keep it in a safer location nearby. This new 0.7 map is sort of an experiment because it has a very extreme game play design, feedback will be appreciated, and could influemnce our FH2 map designs. Saipan 1944 must be played with very good teamwork and concentration or your side will lose quickly. Allies: Take the whole island or you will lose, you will bleed points until you cap the last flag, and the Japanese have very good defensive positions. It is essential to coordinate your naval, aerial and ground forces to achieve success. Your side spawns no tanks on the island so you need to use your LCT's to get armor support. 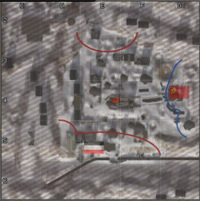 Axis: It's a push map...BUT you can't recap the flags 1 to 4, so you must defend them till the last. If you lose them there is no returning. ALWAYS defend the back flag because there may be Allied infiltrators waiting for their mates to take the previous flag. If you are not careful about this you can loose 4 flags in 30 seconds. 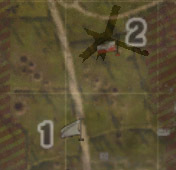 Also, if you loose one of these flags you must fall back fast to defend the next one, even suicide and spawn there because the axis team doesn't care about tickets, they just need to hold one flag to win. A last tip,if you see the Ford GPA destroy it ASAP, it's a fast mobile spawn. 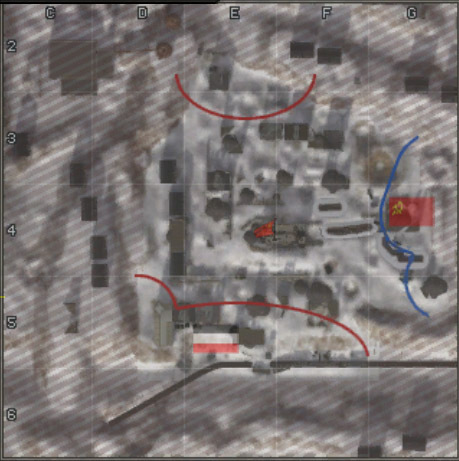 Midway is a mixed objective-conquest map: It has one sea flag, the team that looses it bleeds, but either team can win if it destroys the enemy objectives. Destroy the hangar in the west island and the Allies will lose that island's spawns and bombers. Destroy the four huts in the east island and the americans will loose their spawns in that island and fighters. Destroy all these objectives and when the last enemy is dead you win. Destroy the enemy ships and when the last enemy is dead you win. Move your ships, avoid the enemy, and protect them with your AA. Destroyers and fighters must support and protetct the carriers, a B17 bomb attack or a torpedo/dive bomber can destroy them. It's recommended (and very fun) to have support gunners in your bomber. The island has reef so ships can't operate inside the atoll, even the U.S. PT boats can't pass them. All AA, planes and ships are locked for the enemy so don't waste your time trying to do use them, a bailed pilot is not useful for your team, die with honour in your plane. Winning this battle requires a combined effort, if the Allies just use planes and forget their ships they will soon find the Axis have destroyed them and taken the sea flag. They need also to use the AA defences of the islands. The Axis also need to use the ships efficiently or those Allied bombers will eat them for breakfast. That's all for today, but be sure to come back next week for another Forgotten Hope 2 update. Until then, feel free to visit our public forums to discuss this update or other news.